Parents and kids fight. It's a perfectly normal and healthy thing that happens in every family. But typically, family fights don't involve a dad interrupting his grown son's live-stream to tell him to stop being an incorrigible racist in his room. Yet that's exactly what happened when white supremacist organizer Jason Kessler's interview with other known white supremacist Patrick Little was brought to a halt by his dad's righteous anger. Kessler's father can be heard screaming "Hey! You get out of my room!" once he realizes that Kessler is on a live-stream spouting off racist propaganda. While Kessler tries to get his dad to leave him alone as he discusses the merits of bigotry, Little asks if Kessler has "a drunk roommate" in the room. Kessler brushes off the question before explaining that he's currently living with his parents because a handful of lawsuits have him strapped for cash. Little then adds some casual anti-Semitism to the conversation when he asks Kessler: "You're not living with an Orthodox Jew are you?" Kessler explains that his parents watch "the American History Channel and its constant anti-German [anti-nazi] propaganda," before saying that both of his parents are totally "cucked." Perhaps the biggest takeaway from the video - other than the joy of knowing that Kessler's own dad thinks his views are idiotic - is that there clearly isn't a lot of money in being a leading voice of white supremacy in America. While Little isn't living with his parents, he told Kessler he was giving the interview from his boat home, a place he needs to stay in case he gets evicted from his actual apartment. The whole situation is so pathetic it almost makes you feel sorry for the guys until you remember that both of them sincerely believe that Nazis are misunderstood heroes and Kessler literally organized a white supremacist rally that resulted in someone being killed. Hopefully, this isn't the last time we get to see Kessler get roasted by his own father, as it's hard to imagine ever getting sick of watching this proud racist get put in his place. 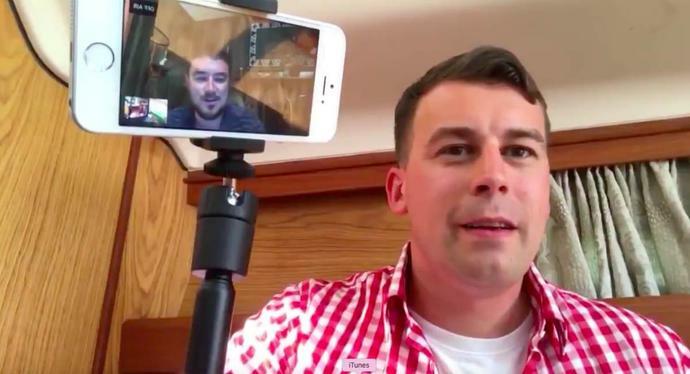 The post This White Supremacist Got Shut Down by His Own Father During a Live-Stream appeared first on Fatherly.